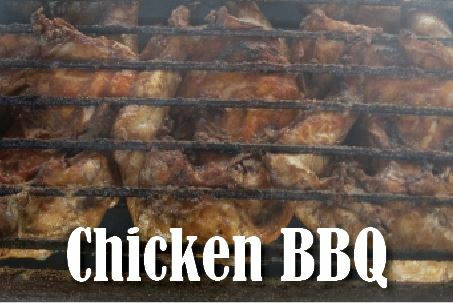 Menu: ALL-YOU-CAN-EAT BBQ chicken w/ Meadowcreek seasoning (halves, legs & thighs), baked potatoes, cole slaw, potato salad, chips, pickles, rolls & apple butter, beverages, cake & ice cream). Please note that our menu may vary slightly. Delivery: Complimentary delivery is available in a 4 mile radius at 11:00 & 4:00. We’re also happy to accommodate delivery for larger orders outside of our radius. 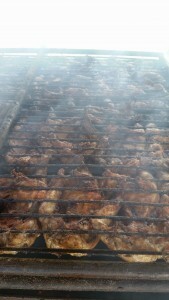 Yum…Can You Smell That Chicken BBQ?